How does one test boards one sells on Tindie? With a fancy-pants, standalone, OLED-equipped, high-zoot test jig, of course. At least, that's what I built for testing my eeZee MicroSD boards. 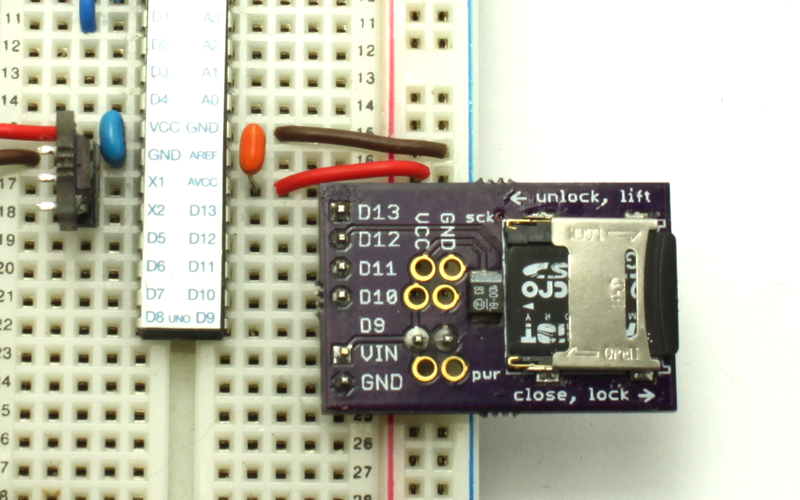 They're microSD breakouts for breadboard Arduinos. They've got the microSD socket plus 3.3V regulator, level-shifter IC, and various passives. 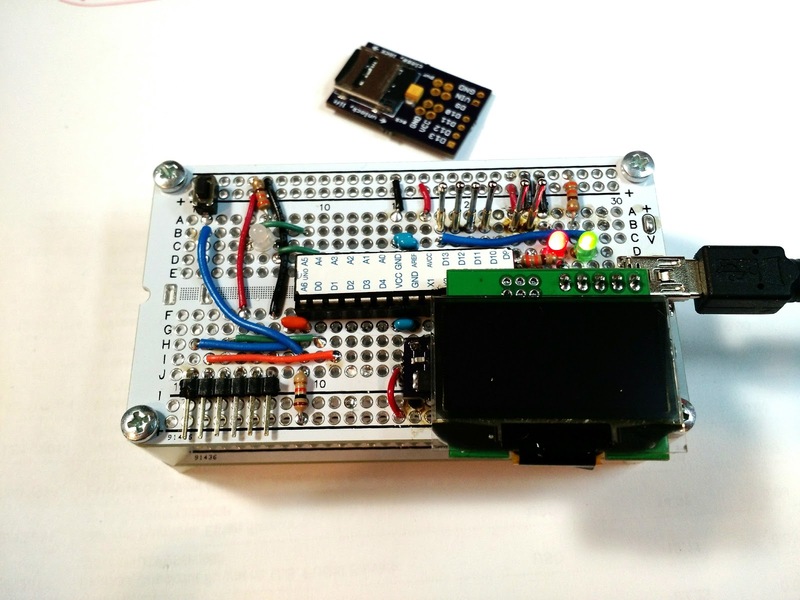 The test jig features an Arduino on the top of a two-layer permanent breadboard apparatus. Power is supplied by convenient USB connector. I manually place the board onto good ol' pogo pins soldered into the D10-D13 positions (plus power and ground). 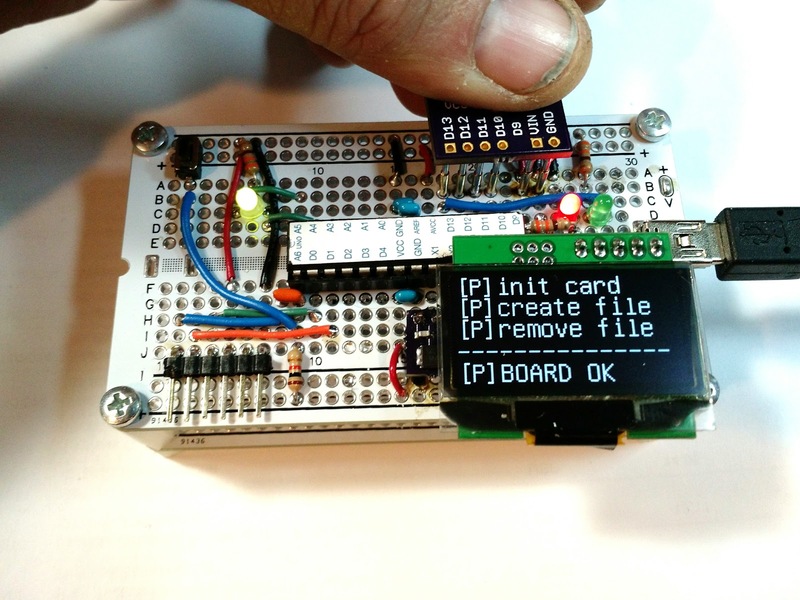 A red and a green LED indicates overall status, while the Digole Serial OLED displays pass/fail status for each of the tests: initializing the card, creating a file, and removing a file, with an overall board status. The test takes just a few hundred milliseconds to complete. The test jig is ready to go at any time. Just plug in a USB cable for power I can run through dozens of boards in a few minutes.